It's time to make an upgrade to your camping trips. 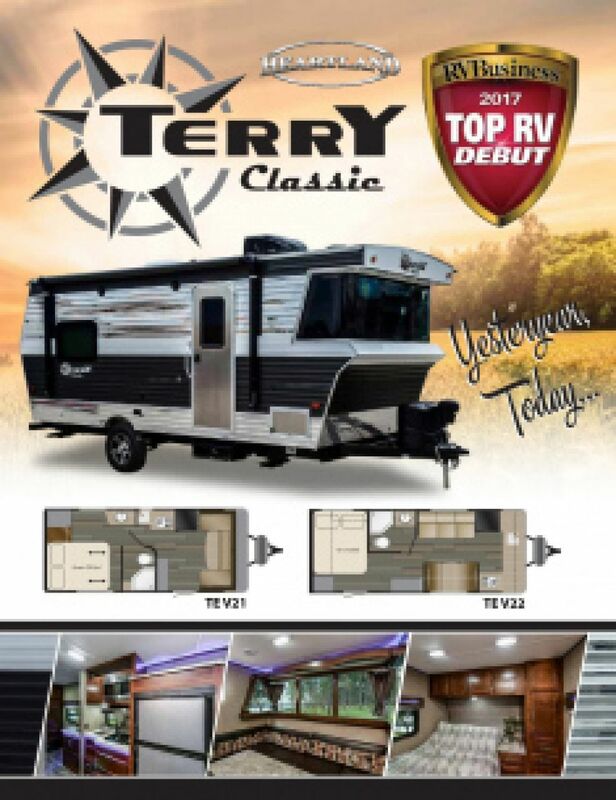 Outdoor adventures are better with the 2018 Heartland Terry Classic V21! This Travel Trailer is perfect for families who love to travel, and it's available now at RV World MI! We service RV enthusiasts in Grand Rapids and throughout Michigan! You can pick out the perfect RV online and pick it up at our lot at 7834 S Division Grand Rapids Michigan 49548. If you need some expert help on choosing the right RV for you, you can give us a call at 616-591-3632! We'll get you situated in the best model for your needs in no time! Nothing is more refreshing than a nicely air-conditioned living area on sizzling summer days, and the modern 13500 BTU a/c unit can provide that experience no matter how hot it is outdoors. And when it turns too cold, the 30000 BTU furnace keeps you toasty and warm! 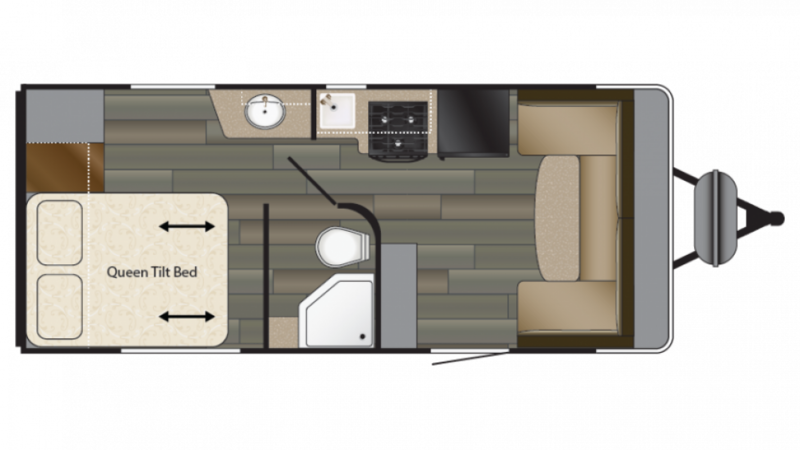 There's ample room for the whole family, too, thanks to this RVs spacious 21' 0" length, 8' 0" width, 10' 8" height, and the slides that open up to maximize the living space! Love to cook for your family, but hate juggling fry pans, pots, and everything else over a campfire? Then you'll love the big, fully appointed kitchen! Use the 3 burner range cooktop to make eggs, bacon, burgers, steaks, chicken, fish, flapjacks, and more! And keep everything handy and fresh in the roomy 6.00 cu. ft. refrigerator! You'll have enough refreshing, clean water for your family's needs with the massive 41 gallon freshwater tank!